C. A. “Lance” Piccolo is president and CEO of HealthPic, a strategic health care consulting firm. HealthPic provides clients with a comprehensive service profile to meet their health care challenges and opportunities. Piccolo is widely regarded as one of the pioneers of building strategic health care businesses and has a strong vision of where the market is evolving. 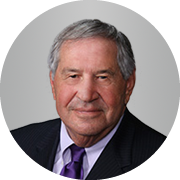 He formerly was founder, chairman of the board and CEO of Caremark International, Inc. In 1992, Caremark was spun off from Baxter International, Inc., where Piccolo served as an executive vice president and a director. He was responsible for the bulk of domestic hospital sales and all of the alternate site businesses. Piccolo has served on the board of directors of CVS Caremark, Baxter International, NovaMed, MedAssets, Inc., Sheridan Healthcare, Chemtura Corporation, Physiotherapy, MedPartners and Medical Specialties Distributors. He is a trustee at Boston University and the Kellogg Graduate School of Management Advisory Board of Northwestern University. He also served on the board of the University of Chicago Hospitals, St. Barnabus Hospital, Lake Forest Hospital and the Pharmaceutical Foundation Advisory Council of the University of Texas at Austin. He served in the United States Marine Corps from 1962 to 1965, attaining the rank of captain. In 1993, he received the Marine Corps Semper Fidelis award and the FBI Marine Corps Association award. Piccolo earned a bachelor’s degree in science from Boston University.